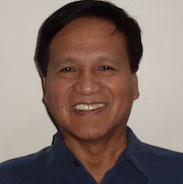 Rosalino (“Lino”) Rondon was appointed Regional Director, Asia-Pacific, at the beginning of Jan 2015. Lino will focus on further developing resources in the ASEAN territories (Philippines, Malaysia, Indonesia, Thailand and Vietnam) also China, India, Japan and Taiwan, while consolidating our operations elsewhere in Asia-Pacific. He will continue to be Manager of SynTech Research South East Asia (SRSEA), located in Sta. Arcadia, Cabanatuan, Philippines. Lino has a long and distinguished career in the region, previously working as Board Director in ICI Philippines, Country Head in Zeneca Agrochemicals and Vice President Jardine Davies/Distribution before joining SynTech in 2008. He has been active in the wider ag-industry for many years, having held positions, including President – Crop Life Philippines, Vice President – Crop Protection Association of the Philippines and Chair, Technical Committee in both associations.